Berkery, Noyes & Co. adds John Guzzo as Vice President - Berkery, Noyes & Co., LLC. NEW YORK, July 25, 2005 — Berkery, Noyes & Co. LLC, the leading independent investment bank specializing in the global information and technology sectors, continues its rapid expansion with the addition of John D. Guzzo as vice president. 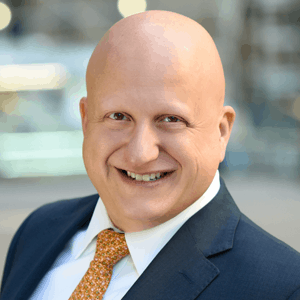 In his new position, Mr. Guzzo manages all aspects of both buy-side and sell-side M&A transactions, from initiation through the due diligence and negotiation process, to final closing. Prior to joining Berkery, Noyes, Mr. Guzzo held a similar position at Giuliani Capital Advisors (formerly Ernst & Young Corporate Finance), where he initiated and executed transactions in various markets ranging in value up to $300 million. He earlier served as a manager in Ernst & Young’s tax consulting practice, where he performed due diligence and tax structuring in M&A transactions. John Guzzo is a certified public accountant, holds Series 7 and 63 licenses, and earned his MBA from Columbia University. Mr. Guzzo is the fourth investment banking professional to join Berkery, Noyes in recent weeks. His arrival follows the launch of the bank’s Information Technology, Software & Services Group, led by three newly appointed managing directors: Jim Holzer, Shawn Miele and David Yockelson. Berkery, Noyes & Co., LLC specializes in sell-side transaction services, buy-side representation, valuations and strategic research for information companies valued up to $500 million. The firm is on pace for a record year, having closed 12 transactions year to date with an aggregate value exceeding $1 billion.